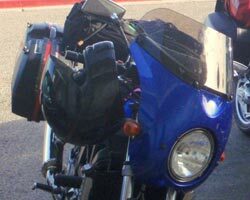 The Suzuki SV650 Scout Fairing is designed with classic aerodynamic styling and weighing 4.5 pounds gives great protection without adding too much weight to the front of your bike. 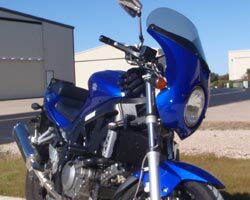 The fairing features a built-in Air Balance Vent and a wide selection of windshields to choose from. I have had my Scout fairing on my SV 650 for a little over a year and am very happy with it. The level of wind and weather protection far exceeded my expectations, it is like the fairing is much larger than it really is. I was also surprised at the increased fuel mill age, I went from getting mid 40's to getting in the low 50's on the average tank about an 8 mpg gain. The Scout fairing has made my SV much more user friendly. The bike is now comfortable at 75-80 mph on the freeway and there is no buffeting or head shake. 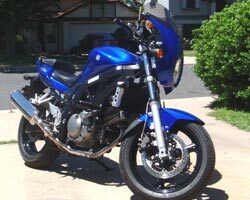 (I always use the 10in fairing as it is too hot here for the larger 18in one that I have). I have gotten caught in the rain on a number of occasions and as long as I keep moving over 50mph I tend to only get wet at my Helmet, shoulders, lower legs and knees, very unlike a naked bike. The weather protection is better than I expected from a small fairing and is very good over all. The Scout fairing turned my SV 650 into a great little sport tourer it really did exceed my expectations in every way. I was willing to try it because of the 30 day return policy, I would have had a hard time purchasing a fairing in this price range without Parabellum's return policy. I was able to get it painted with the factory color for $125.00 by a  local shop. It took me 10 months to get it painted because I did not want to go riding without it. Fit and finish are very good and installation was straight forward. 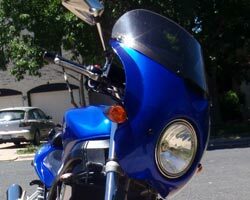 I would recommend a Scout fairing to anyone who actually rides their motorcycle, I commute 25+ miles per day on mine and have taken it on 2 trips so far this year. 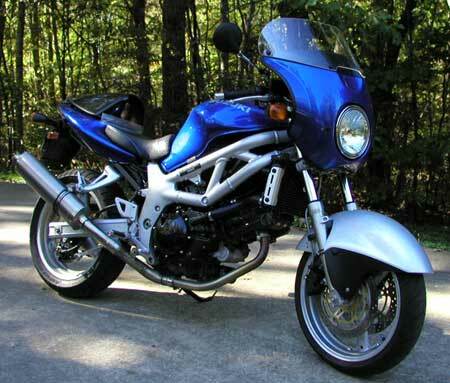 I can not say how the Scout fairing works on other motorcycles but it works great on my SV 650. I am a fan of my Scout fairing, I will not be selling this bike anytime soon.